Just a snap of my furry friends from last night. 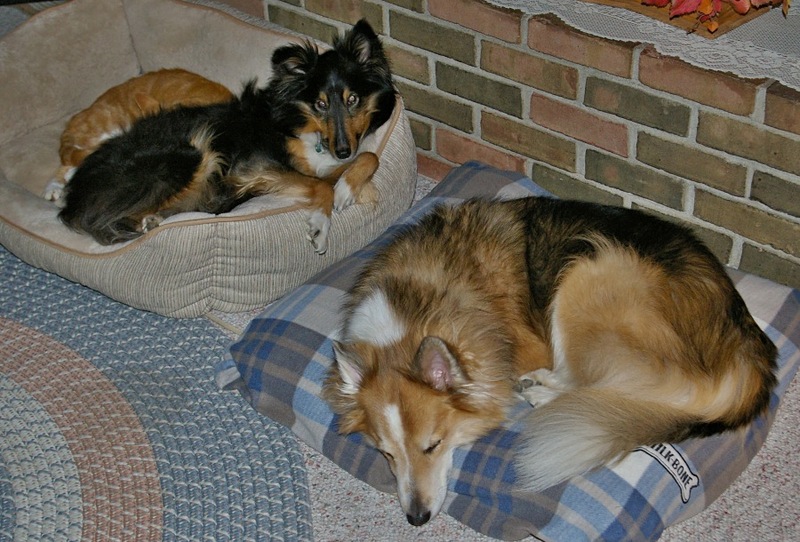 (Left to right) Mr.Rusty, Brody and Laci. Awww... cute! Is that a kitty sleeping behind the first dog? So fun to see when cats and dogs live together and get along! Is Mr. Rusty a cat? An intimate moment with the pets. So very sweet! Those look like very content friends! Notice how the cat gets more of the bed than the dog!! I swear if they had thumbs, they would rule the world! wait, they do!! I love an equal opportunity pet owner. Cat and dogs. Good choices.